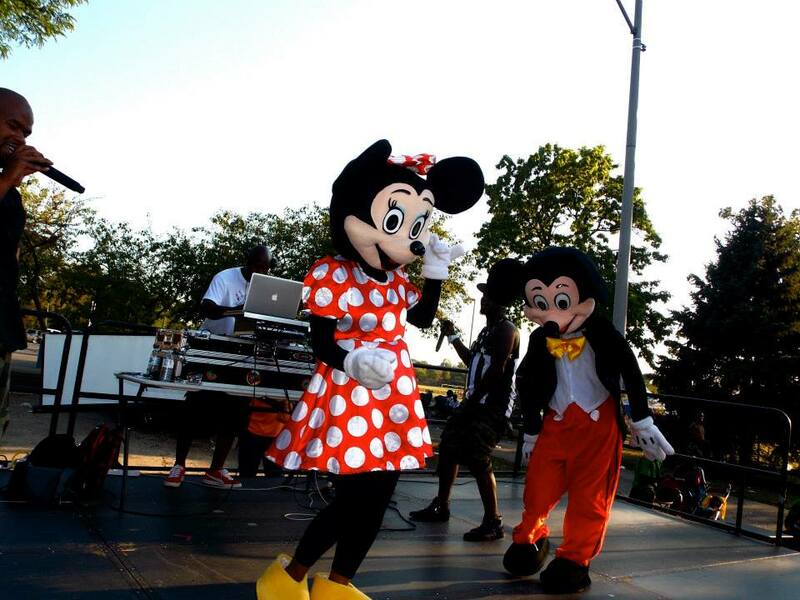 #ChiRaq is Dead….So Fresh Saturdays in Englewood Lives On!! #goodinenglewood | R.A.G.E. R.A.G.E. has never been fans of the term and attention of the word Chi-Raq and as far as we are concerned it is DEAD!! 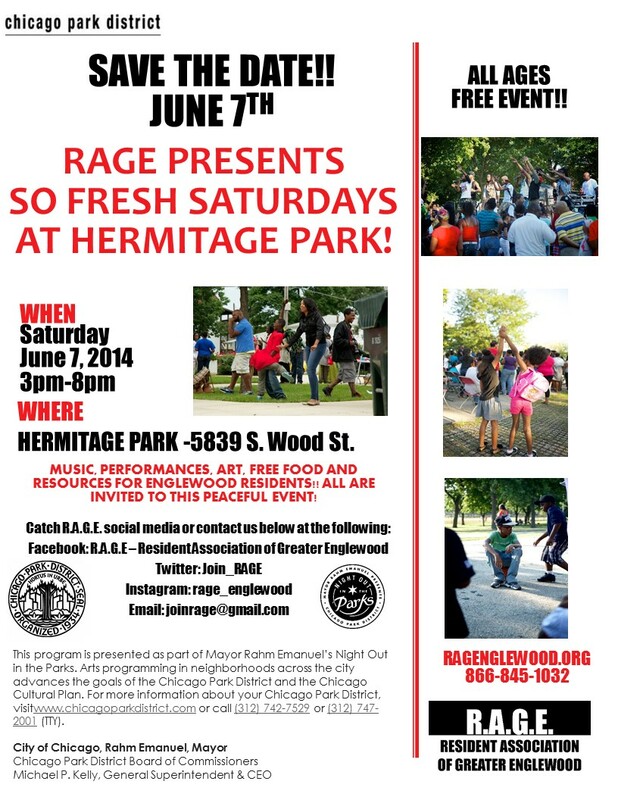 We are SUPER excited to kick off the So Fresh Saturday series for the summer at Hermitage Park, this Saturday, June 7, 2014 at 5839 South Wood Avenue from 3pm-8pm. 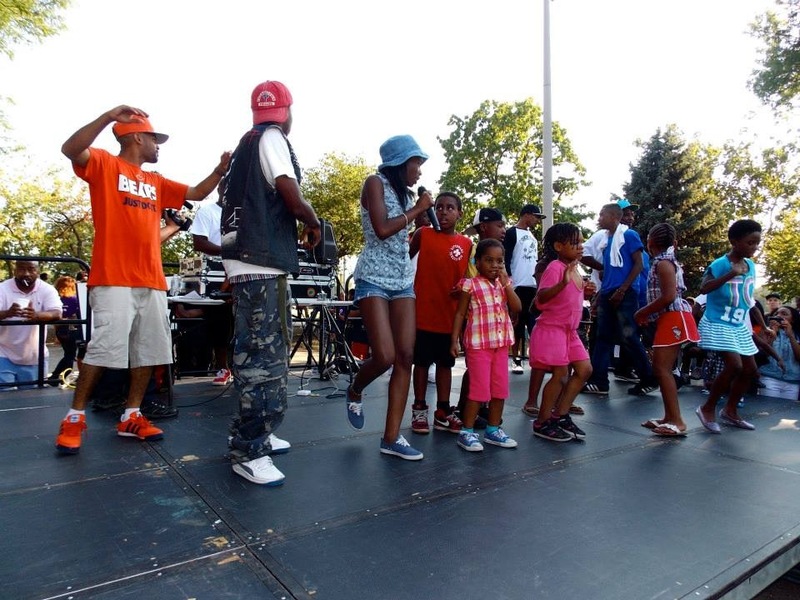 So Fresh Saturdays is a FREE, family-friendly, resident driven, “edu-tainment” series that will showcase various artistic expressions, provide resources for the community and educational workshops for all ages. 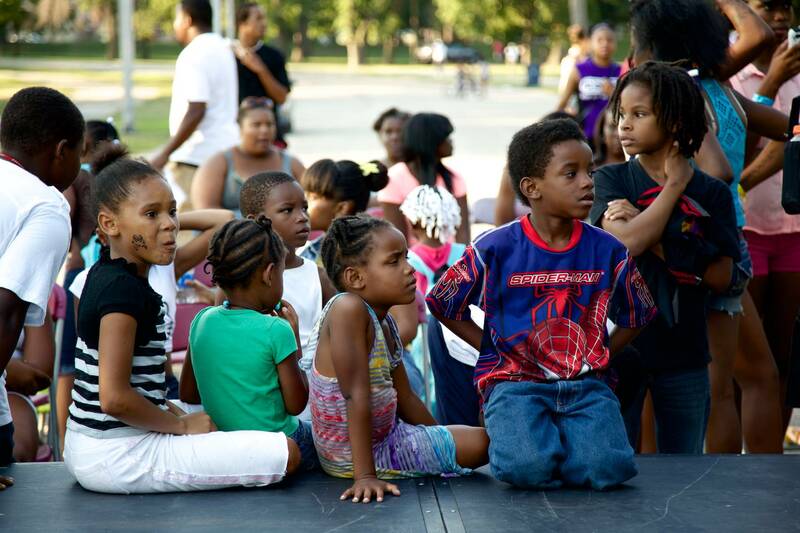 The goal of the series is to create a safe space in the parks of the Englewood and West Englewood community. 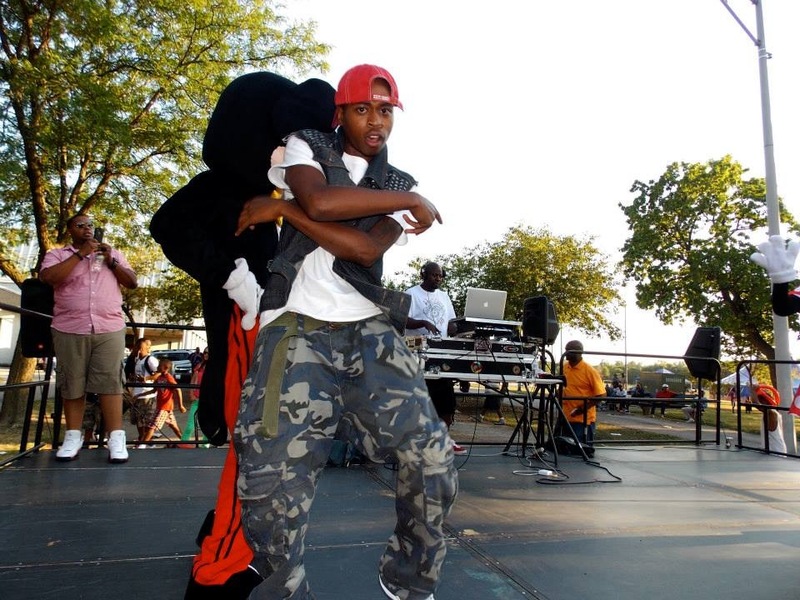 Local artists rooted in the community like Voice of Englewood from the Crushers Club, Drastik, and others are some of the performers will hit the stage sharing their talents for Englewood! This program is presented as part of the Chicago Park District’s Night Out in the Parks with the support of Mayor Rahm Emanuel. Arts programming in neighborhoods across the city advances the goals of the Chicago Park District and the Chicago Cultural Plan. In its second year, the 2014 Night Out in the Parks series will bring 1,000 events and programs to more than 250 neighborhood parks throughout the city, making community parks safe havens and hubs of activity. Projects will vary from traditional performances and concerts, to peace rallies, movies, magic shows, community workshops, nature based programs, dance pieces, festivals, and more. The Chicago Park District has partnered with more than 50 arts and community organizations to expand and produce this successful initiative. “We know as a resident driven association we have to blend arts and entertainment with activism in order to engage and address issues we have throughout the neighborhood” says, Asiaha Butler, Co-founder and President of R.A.G.E. These free, peaceful, fun-filled events are for the whole family. For more info contact R.A.G.E. at 866-845-1032 or email joinrage@gmail.com. If you are an organization looking to serve as a resource, conduct a workshop – contact us today!!! Hope to see you Saturday!! My Block, My Porch and 15 Shots Heard Around the World…New Blog Post!